Maximize the life of your boat flooring by using this weather proof deck joint tape. This tape seals where the two pieces of marine plywood come together and prevents water lines from forming in your marine carpet. We know it's hard work to replace the entire deck of your pontoon boat and we have the marine parts to do it right the first time. 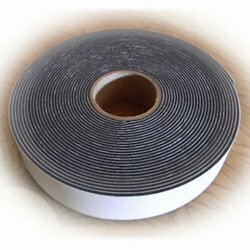 Little items, like this deck joint tape will help ensure that the seams of your new boat flooring are sealed keeping your marine carpet looking good season after season.